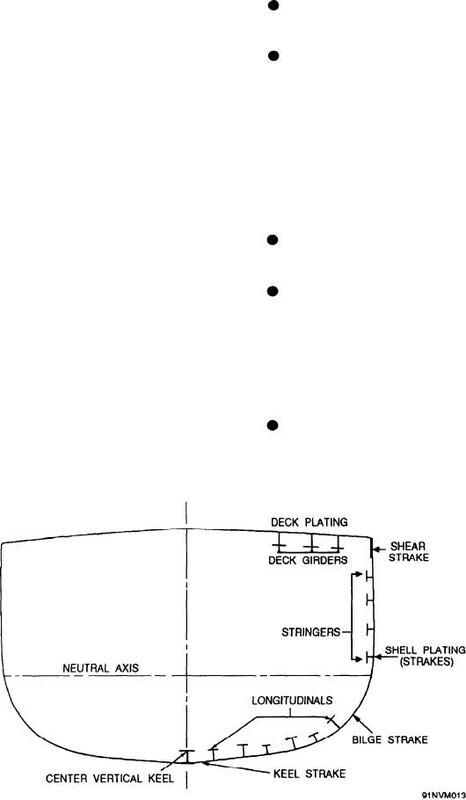 Types of frames used on board ship. you can get it when you need it. when you need to reorder material. corrosion and against other kinds of damage. HT shop is the stowage of leftover materials. Figure 2-6.--Shell section of a destroyer.